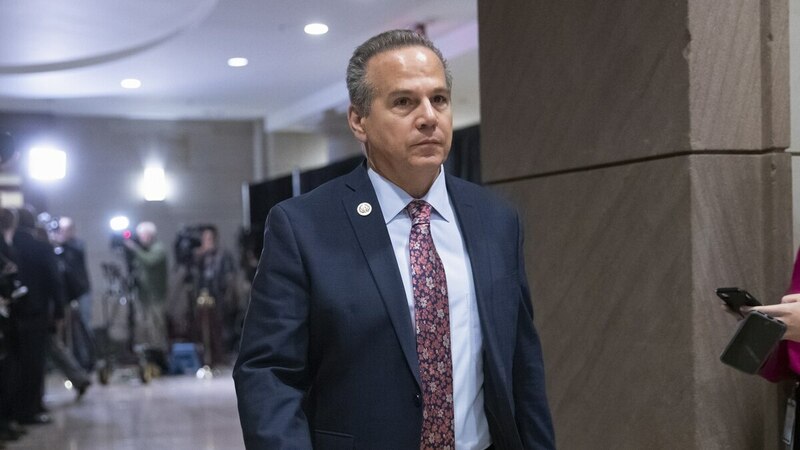 President Donald Trump is using the shutdown to distract from other potentially negative news about his administration, according to Rep. David Cicilline, D-R.I.
“This is disgraceful, it’s unnecessary. In my view it’s being done to distract from a couple of very bad weeks by this administration, where we’re not talking about Jim Mattis leaving and a serious rebuke to the president’s foreign policy; we’re not talking about the shutdown of the Trump foundation for consistent illegalities; we’re not talking about Michael Flynn’s sentencing hearings that blew up with real consequences about Michael Cohen’s cooperation with the special counsel and the growing threat to this administration by Robert Muller’s investigation,” Cicilline said at a Jan. 14 meeting with Rhode Island lawmakers and federal employees. The shutdown became the longest in history over the weekend, surpassing the 21-day shutdown of 1995 and 1996. That record, along with the first missing paychecks federal employees should have received Friday, mark two points of particular shame, according to Rep. Jim Langevin, D-R.I.
“This came here as a result of a selfish and illogical strategy by the president of the United States,” said George Nee, president of the Rhode Island American Federation of Labor and Congress of Industrial Organizations. But Rhode Island senators placed equal blame on Senate Majority Leader Mitch McConnell of Kentucky for refusing to bring forward House-passed legislation that would reopen the government. “This ends when Republican senators put enough pressure on Leader McConnell, and he does his job and brings these bills to the Senate for a vote,” said Sen. Sheldon Whitehouse, D-R.I.
Sen. Jack Reid, D-R.I., also noted that the House bill included nothing more than what the Senate had already approved in the previous Congress, but Republicans are holding out for border wall funding. “There’s been a lot of talk about the wall. That’s a campaign slogan,” said Reid.